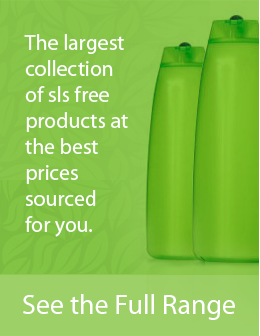 While we have covered the perceived problems associated with Sodium Lauryl Sulfate in toothpastes, mouthwash and shampoos, there is also an increasing demand for SLS free soap. As you know SLS is a foaming agent used in a variety of industrial cleaners and this concerns many of us when it comes to toothpastes or mouthwashes. The truth is there are many cleaning agents that are used both domestically and in an industrial capacity, however SLS has come under the spotlight in recent times and caught the attention of the natural health and beauty industries. So while it’s understandable for us to have concerns when it comes to products we actually put in our mouths such as mouthwash, is it really a concern when it comes to soap? Are there major health implications to consider? While SLS is known as a foaming agent it’s also known as a surfactant which is a term used to describe a chemical that reduces surface tension in water. This is beneficial in soap as it breaks up the natural oils found on our skin, making it easier to wash and clean. However it’s also very harsh on skin, which is why it’s recommended to avoid using soap directly on our faces or other areas where our skin is known to be more tender. SLS is a known skin irritant and is even used for laboratory testing to induce skin inflammation. The jury is still out on whether absorbing SLS into our bodies is in fact dangerous. It does however irritate the skin and if you are prone to skin conditions or have a skin irritation then it’s best to seek out a Sodium Lauryl Sulfate free soap. It’s important to remember that most of the perceived dangers (especially when it comes to major concerns such as cancer) are unsubstantiated but SLS can most definitely irritate the skin. If you are prone to skin conditions such as dermatitis for instance then it might just be in your best interests to try a sls free soap and see if this helps with your condition. There are a number of non SLS soaps available (listed below). Most of these soaps are derived from coconut and do as good a job of cleaning as a non SLS free soap but they are harder to find. Luckily, there are a couple brands on the market that stand above the rest. If you’re looking to buy a natural soap then look no further. Dr. Bronner’s Liquid Castile Soap is the consensus number one rated organic soap on the internet. It features premium ingredients such as rosemary extract and lavender oils. The formula is enhanced with coconut, hemp, and olive oils. By using this brand you will be sure to keep your hand clean and smelling fresh. Dr. Bronner used a variety of natural ingredients to create the best bar soap on the market. These ingredients include: coconut, hemp, palm, peppermint, and jojoba oil. Dr. Bronner’s Bar Soap lathers really well and doesn’t leave any residue. It has a natural lavender scent that will leave you smelling great. 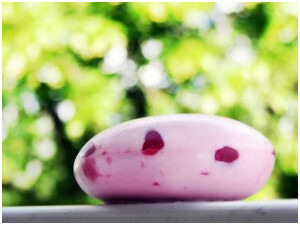 You can use this soap in your sink, in your shower, or even on a camping trip. This natural dish soap is tough on grease and it will leave your dishes sparkling clean. Seventh Generation Liquid Dish Soap is plant-based product that is safe for sensitive skin. Price affordably, this is a fantastic alternative to conventional brands filled with toxic chemicals.